Endurance athletes are on the course for long periods of time, making it extremely difficult to maintain fluid & electrolyte balance. Our #SweatTest determines your individual needs, so you can finally stop the guesswork. so you can finally stop the trial-and-error game when it comes to your hydration. While sweat rate is generally linked to size (larger athletes typically sweat more) and gender (males sweat more than females), the concentration of electrolytes in sweat is uncorrelated. Two similar athletes can have different sweat rates and sweat composition, and the electrolytes lost can vary over 200 fold. Electrolyte depletion can lead to a gradual and subtle loss of performance. As electrolyte depletion becomes more extreme, debilitating muscle cramps can suddenly set in. For every athlete, the point at which performance decreases or muscle cramps start is different. Athlete sweat testing & sweat composition analysis is the only way to know what your body’s specific needs are. Athlete sweat testing is critical for optimizing performance and minimizing heat-related injuries. Knowing your exact needs takes the guess work out of fluid and electrolyte replenishment, allowing you to maintain peak performance, to prevent heat-related issues like muscle cramping, and to focus on other aspects of your game. Just like elite professional & collegiate teams and athletes, you can now determine your Individual Sweat Profile, and end the electrolyte replenishment guessing game. Our LEVELEN™ Electrolyte Replenishment System (ERS™) is the only integrated solution of sweat testing and electrolyte replenishment products customized to your specific needs. After performing an Athlete Sweat Test, you will receive your Individual Sweat Profile. 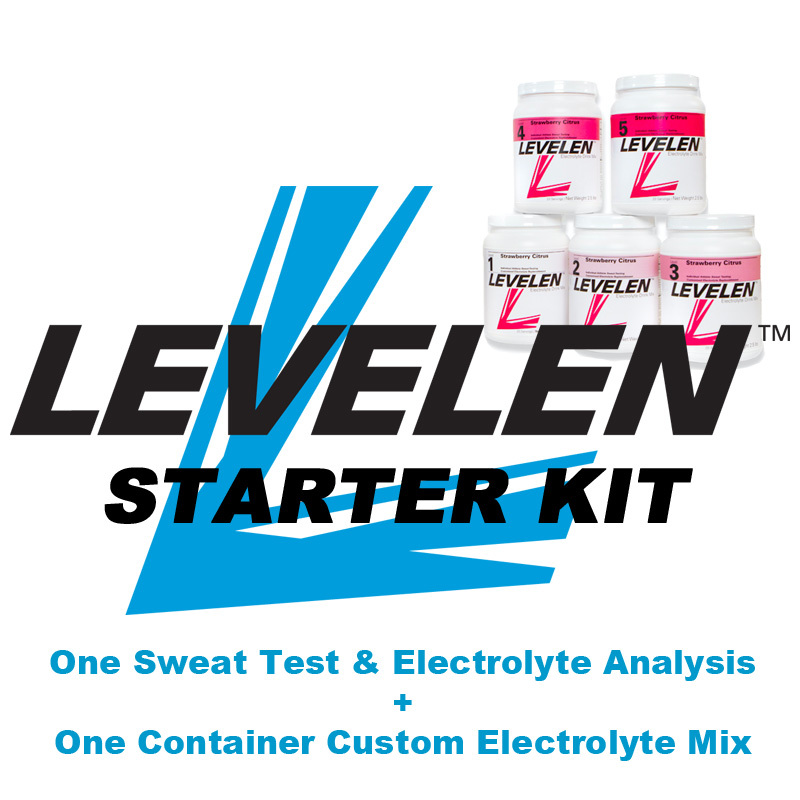 Your Sweat Profile details your hourly hydration strategy and specific recommendations of LEVELEN™ products that are customized for your specific electrolyte replenishment needs. We recommend that serious athletes test twice a year (pre-season and mid-season), and more frequently (quarterly/monthly) for those that train/compete in very different climates and conditions. If you’re interested in purchasing multiple tests for a club or team, e-mail us for information and customized pricing. HEAT Sport Sciences, Inc. (HSS) is intensely focused on the unmet needs of the serious athlete. All of our products and services are based on over a decade of research, and rigorously tested and validated at the highest levels of sport to maintain peak athlete performance and to address heat-related illnesses. HSS is dedicated to developing proven performance-enhancement solutions that are healthy, all-natural & preferred by elite athletes. Our Athlete Sweat Testing determines your unique hydration needs, and our LEVELEN™ Electrolyte products assure optimal performance through fluid & electrolyte balance. We are the leaders in Hydration Sports Science. Before LEVELEN: I’ve never had a problem with cramping, I’ve just been wrecked during and after my runs (even though I still am somehow able to perform in the upper 50% range). I’m at a point that I’m scared to run the long distances right now for fear of getting sick again. This past weekend I played in a charity tournament at my local rink. 6 games in 4 days was a tall order, but the Levelen I had kept me hydrated and never at a loss for energy. I’ve suffered from dehydration-related migraines in the past and had no such issues here. 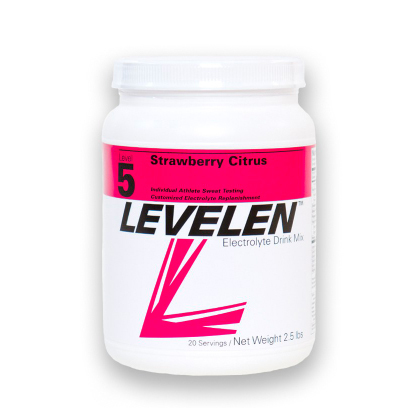 My level-4 strawberry citrus powder has worked wonders and is now an essential on game days and for workouts. Tastes great and truly does work, and after being an advocate for Biosteel for a long time, I now have a product that is tailored for me and truly works. Two years ago after playing two ice hockey games and one indoor lacrosse game all in the same day, I was hospitalized due to severe dehydration. My legs cramped up so bad that I was unable to walk, so they rushed me to the emergency room by ambulance. Once released from the hospital, I was introduced to the Philadelphia Flyers Strength and Conditioning Coach, Jim McCrossin. He was made aware of my condition by my coaches with the Team Comcast ice hockey organization. Jim talked with me about hydration and the ability to manage it to maximize my performance while balancing my levels. Two years ago during training camp, I met Mrs. Sandy (Dr. Sandy Fowkes-Godek). She told me they were testing players that lost large amounts of weight during practice. So I was an obvious choice for her study. I was consistently losing 10 lbs a day during those long and hot practices. I was advised to consume Level 4 of LEVELEN, to help combat dehydration which had started to set in. After about a week of hydrating with LEVELEN, and my normal gallon of water, I became more alert due to the fact I was fully hydrated. I participate in long distance cross-country Mt. bike races. I have always had trouble with muscle cramping on these hard rides, typically around the 4-hour mark. I got sweat tested by LEVELEN, and began using LEVELEN Level 3 while riding. I am confident that their products, which are tailored to your personal specific mineral and electrolyte losses, were integral to my success at the Leadville Trail 100, where I completed the 104 mile course, with 12,500 feet of elevation gain in 11:37:52 without one single cramp! I had an outstanding performance using LEVELEN 4 during during the Amica Marathon this past weekend!!! I recently incorporated Levelen 4 into my long distance training plan and the results have been great!!! For the first time, “the wall” never came!! I couldn’t be happier! Thank you for your help! LEVELEN is a recent addition to my necessity list. The only thing that rivals the importance of my workouts, is how I RECOVER from those workouts. Hydration is my primary focus when recovering. Subsequently, so is my LEVELEN Electrolyte powder. Your body can’t utilize or retain water if you don’t consume electrolytes. I’ve found that most electrolyte powders are better for hydration than just drinking water by itself. That being said, most electrolyte powders taste awful. I found that I could hardly choke some down. Replenishing my electrolyte intake requires a lot of unnecessary energy when it tastes unpleasant. I began working with the LEVELEN team to get a more detailed understanding of the concentration of electrolytes in my sweat during exercise. While it’s simple to determine your fluid loss, it’s not simple to know the concentration of the sweat and what the actual replenishment needs are. The sweat test kit is very simple and straight forward, and the results were clear. 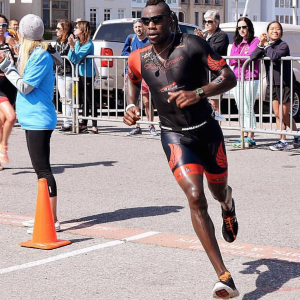 In my first half Ironman triathlon in Miami, Florida I experienced extreme cramps in both legs during the run portion of the race and ultimately struggled to finish. After the race I immediately headed to the medical tent seeking any sort of remedy for the severe pain I was experiencing. Ever since that race I have tried many different products out on the market with similar results. After three half Ironman races with cramping issues on the run, I was introduced to the great people at HEAT Sport Sciences, and they informed of their sweat testing and the unique LEVELEN products that are geared toward the individual’s personal test results. I had one of my best seasons in 2013 thanks in part to the LEVELEN team. 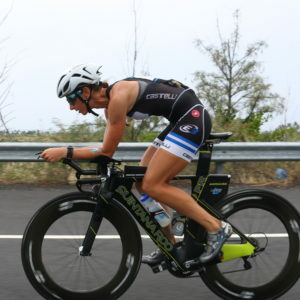 Cramping during races has always been a problem for me, and after researching the potential causes, I tried every possible solution including different nutritional strategies, training styles, and pacing strategies. Nothing seemed to work, and I thought, perhaps due to my genetic susceptibility, that I would always have to deal with my cramping. Then, I met Sandy from HEAT Sport Sciences, and she convinced me to get tested and try out LEVELEN for the second half of my 2013 racing season. HEAT Sport Sciences, Inc. was founded in 2012 by serious athletes and physicians, with the goal to optimize performance and prevent heat-related issues in sport. Based on over a decade of research into athlete sweat testing and electrolyte loss, our patented system addresses the unique and demanding needs of the serious athlete. Our original partners were professional and collegiate teams in the Philadelphia area, and now we serve athletes all over the world, from weekend warriors to the top athletes in their respective sports: football, hockey, basketball, soccer, tennis, and endurance sports. We also proudly support several military and public safety groups. Let us take the guesswork out of your hydration program, so you can focus on taking your performance to the next LEVEL. To provide an industry-leading, systematic approach to managing the unique electrolyte replenishment needs of performance-minded athletes, based on individualized athlete sweat testing & electrolyte analysis. HSS is intensely focused on the unmet needs of the serious athlete, in a market lacking individualized performance enhancement & custom electrolyte management solutions. We lead the sports industry in hydration sports science. LEVELEN™ Electrolyte Drink Mix is the only hydration and electrolyte solution that is formulated to an individual athlete’s specific needs. LEVELEN™ is a sophisticated approach to electrolyte replenishment, backed by over 10 years of clinical research with professional & collegiate sports teams, and data on over 2,000 athletes. Join our LEVELEN Mailing List for Exclusive Deals and Information. @Bigblocksharon Sounds good! Let’s get this season started! !